Hot Free Deluxe Sample offer at Sephora right now! 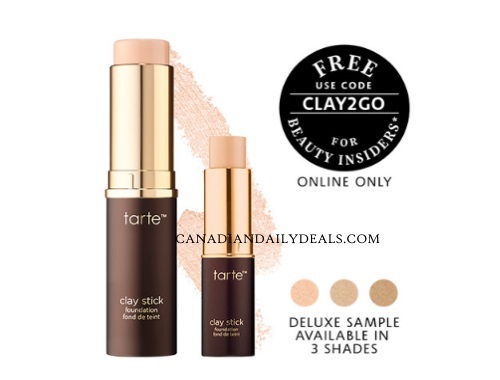 Get a Free Tarte Clay Stick Amazonian Foundation deluxe sample with any $35 order online. Enter the promo code CLAY2GO at checkout. Deluxe sample available in 3 shares, choose your shade at checkout! While quantities last. Offer for beauty insiders only. Sephora is 8% cashback on Ebates right now too! Join Ebates here if you aren't a member yet.